A Canadian man has been indicted for allegedly stabbing a police officer in the neck at a Michigan airport last month. The suspect, Amor Ftouhi, who has been in custody since the incident, was initially arrested for alleged violence at an international airport and is now also facing a charge of interference with airport security. He was arraigned today in federal court, The Associated Press reported. On June 21, Ftouhi allegedly attacked Lt. Jeff Neville outside the TSA screening area at the Bishop International Airport in Flint, leaving the officer with a roughly 12-inch-long laceration from his Adam's apple to the back of his neck. Neville was able to stop the assault within a minute and "never stopped fighting" until the attacker was in handcuffs, according to airport officials. A maintenance man also jumped in to help restrain the attacker, officials said. 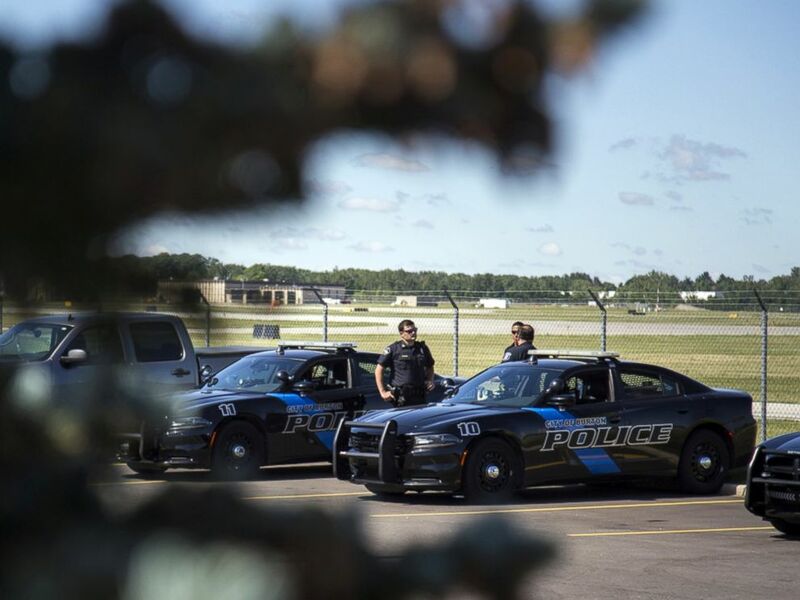 Burton Police Officers gather at Bishop International Airport, June 21, 2017, in Flint, Mich.
Ftouhi allegedly yelled "Allahu Akbar" (“God is great”) during the attack, according to David Gelios of the FBI. Gelios said Ftouhi "continued to exclaim 'Allah' and he made a statement to the effect of, 'You killed people in Syria, Iraq and Afghanistan' and 'We're all going to die.'" Amor Ftouhi was taken into custody after allegedly stabbing an airport police officer at Bishop International Airport in Flint, Michigan, June 21, 2017. 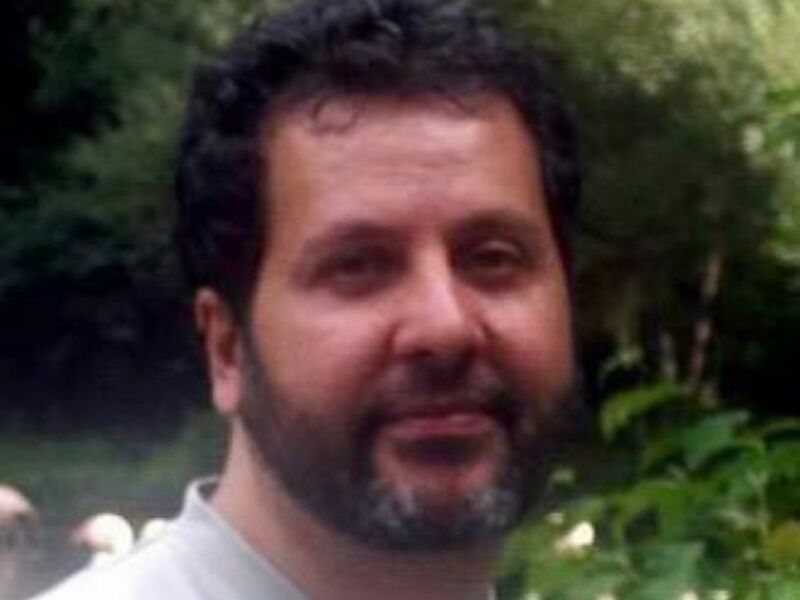 Ftouhi, who legally entered the United States from Canada less than one week before the attack, was arrested for alleged violence at an international airport. He apparently had "a hatred for the United States and a variety of other things that motivated him ... to conduct this act of violence," officials said. Ftouhi was denied bail at a hearing in June and remains in custody. His attorney declined to comment. On Tuesday, Neville spoke out about the attack while attending a Fourth of July parade in Fenton, Michigan. "Just a lot of noise and sudden action, and I truly think it was over in 10 seconds," he said, according to ABC Detroit affiliate WXYZ-TV. 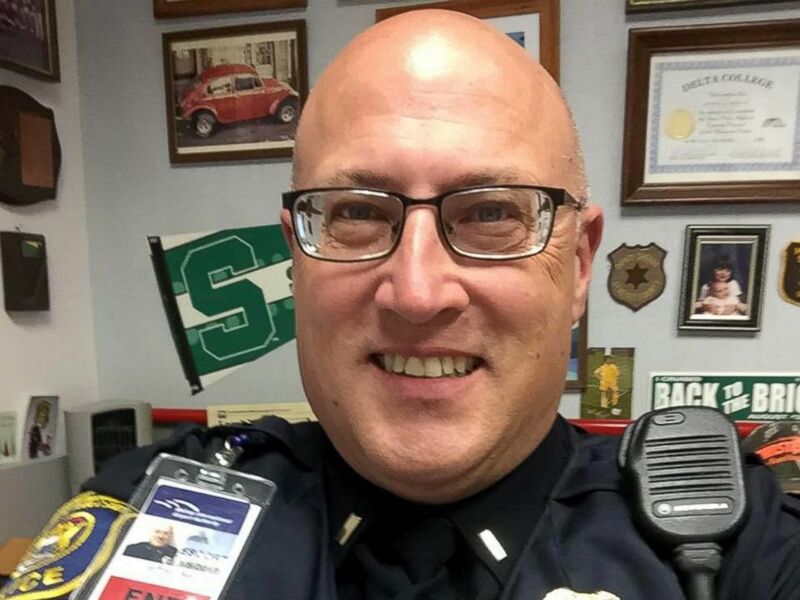 Lt. Jeff Neville, an airport police officer at Bishop International Airport in Flint, Michigan, was stabbed at the airport on June 21, 2017. Neville said the maintenance man who jumped in to help him is a "hero." If that maintenance man wasn't "walking beside me I wouldn't be here talking to you today. There's no doubt about it," Neville recalled, according to WXYZ. 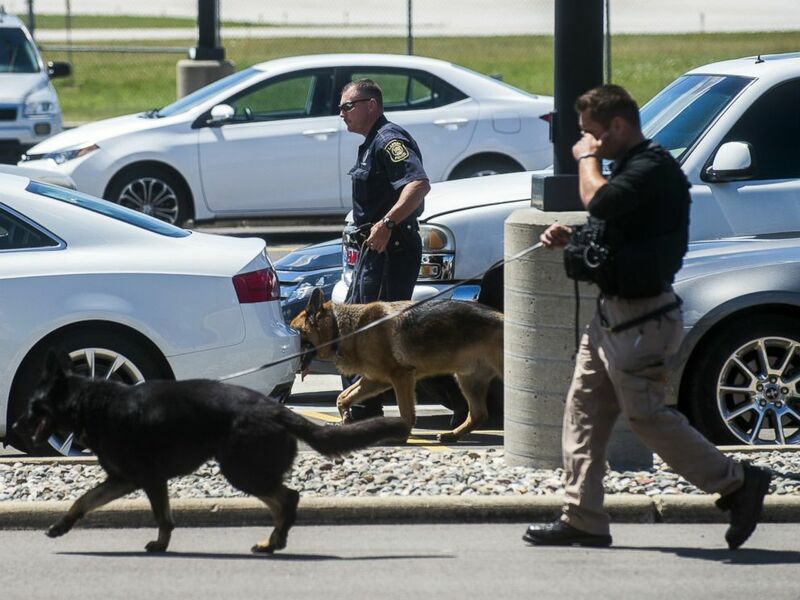 Police dogs search cars in a parking lot at Bishop International Airport, June 21, 2017, in Flint, Mich.
Neville was hospitalized and underwent surgery after the attack but he's now "doing really well." "I was very fortunate," he said Tuesday, according to WXYZ. "It feels great to be here, period."